* Tropical Moments* and being all tucked up and cosy in Pure Wool could have really gone one of two ways ! When I first got to see the range I couldn't quite get my head around the fact that it was all British Wool, chemical free and totally natural. It was a real light bulb moment when the "new" mattress smell was explained to me as fire retardant chemicals, I swear I had never even thought of it. The Woolroom launched the very first range of completely chemical free mattresses in 2015, harnessing the natural flame retardant properties of wool. You can read their story here. 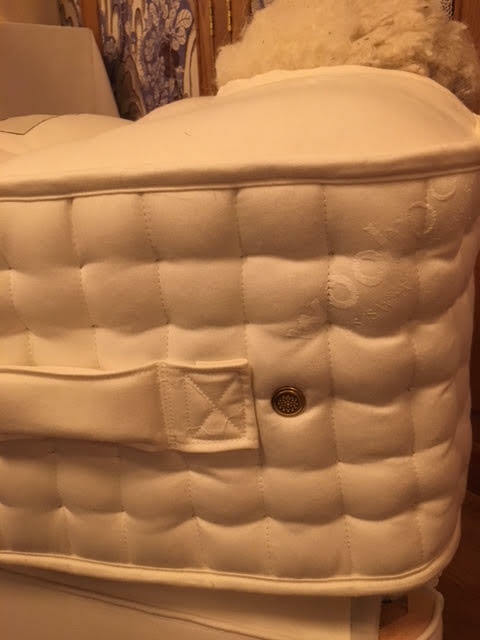 Lets start with the mattress, I am using the Exmoor King Size which is hand crafted in England using pure natural hand picked wool fillings and 1000 individually hand nested springs. The cover/ticking is a Merino Wool blend with the mattress being hand tufted with wool.Being a naturally dry environment dust mites will not inhabit wool bedding making it ideal for allergy sufferers. I have to comment on the delivery aspect of receiving this mattress, I was contacted fully through out the whole process and the delivery was on time to the minute by 2 really efficient chaps who place the mattress on the bed and removed all the packaging without a problem. Customer service at its best. I have been using the mattress with the Deluxe wool mattress protector. On getting into bed on the first night I immediately thought *too soft*, we both suffer with dodgy backs and Mr LB as you know is always full of aches and pains from his job! So we lay there discussing the fact that the mattress was definitely too soft. WELL what a JOKE! We both woke up not having remembered anything about the night, and with literally no aches and pains. My relationship with sleep is not good, often I will fall asleep on the couch and dread going to bed as I know I won't get to sleep for hours listening to a certain person snoring and tossing and turning all night. As much as you may love someone, when they deprive you of sleep you can soon go off them pretty rapidly. We have been sleeping on this mattress now for a couple of weeks and I can honestly say I look forward to going to bed early, it has been a joy. One of the things that did worry me about a wool bed was heat, as a woman of a certain age, I get hot! 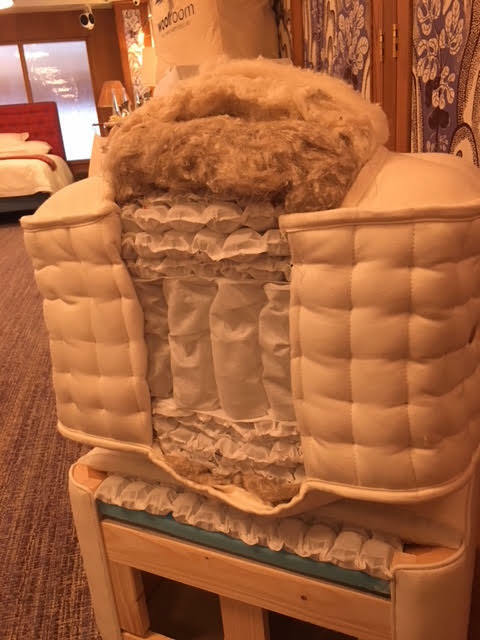 When discussing this mattress with the guys at The Woolroom they assured me that due to it being natural it is heat regulated and I would be fine. I have in the past been offered a memory foam mattress that I declined for this very reason. They were right, I have not overheated at all while sleeping. "This is what happy feels like" and they are not wrong. The company are so confident they offer 100 nights no quibble guarantee if you are not happy and do not sleep better they will collect the mattress and refund you in full. They also offer interest free finance and free delivery. 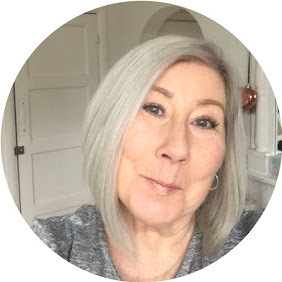 I have way more to chat to you about on this company but with the fear of making this post too long I have decided to split it into 2 and talk about the bedding in my next post. How do you sleep? What are your thoughts on mattress types? I would love to hear as this has been a complete revelation to me. Post contains Brand/Agency samples unless otherwise stated. may contain AF Links.